للمسافرين الذين يرغبون أن يعيشوا كل ما تقدمه المدينة، RAC Monkey Mia Dolphin Resort هو الخيار الأمثل. يحظى هذا الفندق ذو 3 نجمات بمكان ممتاز يسمح بالوصول إلى المعالم السياحية الأكبر في المدينة، فهو يبعد مسافة عن صخب المدينة. يضفي محيط الفندق اللطيف وقربه من أكثر المعالم السياحية جذبًا سحرًا خاصًا على هذا الفندق. ببساطة كل الخدمات وأساليب الضيافة التي تشتهر بها RAC Parks and Resorts تجعلك تشعر وكأنك في بيتك. إن خدمة غسيل ذاتية, خدمة حجز التذاكر, مرافق مخصصة لذوي الاحتياجات الخاصة, تسجيل وصول/خروج سريع, تخزين الأمتعة هي جزء فقط من الخدمات التي تميز RAC Monkey Mia Dolphin Resort عن باقي الفنادق في المدينة. استمتع بوسائل الراحة الراقية في الغرف أثناء إقامتك هنا. بعض الغرف تتضمن تلفزيون بشاشة مسطحة, اتصال لاسلكي بشبكة الإنترنت (مجاني), غرف لغير المدخنين, مكيف هواء, تدفئة لمساعدتك على استعادة طاقتك بعد يوم طويل. يمكنك طلب اللائحة الكاملة للخدمات في الفندق ومن بينها حوض استحمام ساخن, حمام ينبوع ساخن, حمام سباحة خارجي, صيد السمك, ملعب تنس. إن RAC Monkey Mia Dolphin Resort هو مكان مثالي للمسافرين الذين يتطلعون إلى الراحة والاستجمام في المدينة. 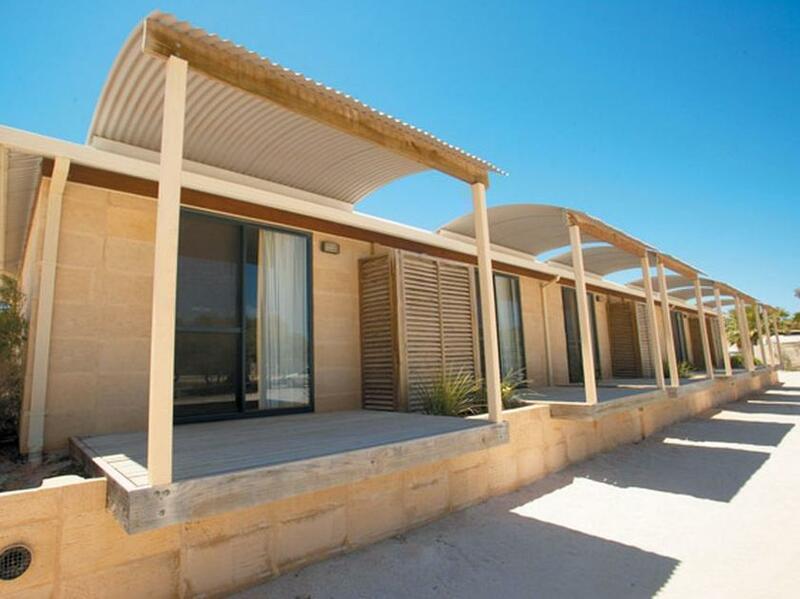 Monkey Mia Dolphin Resort is currently undergoing a large upgrading of the resort which appears to be almost completed . We stayed in a comfortable Villa which was very suitable for our needs & was only about 50 m from the beach & close to the Reception area, Restaurant & Pool . The main attraction is the Dolphins which attract visitors for their feeding each morning . The resort is also a very pleasant spot to watch a beautiful sunset while relaxing on the terrace of your villa . We just loved here! It's in a national park, so it's quite isolated which is perfect for enjoying your relaxing holiday. There are many different types of accommodations. Camping and backpackers too. The public areas were all so clean and tidy. So organized. You can watch dolphins in the morning. They come to just in front of you on the beach. Check the dolphin feeding time. It was from like 7:45am when we were there. The restaurant was good too. Decent food and good service. Very relaxing just near the beach. The room was with one queen bed and a bunk bed. We shared the toilet and shower with only just next door. So, every two rooms shares the toilet and shower together. It was all just perfect! We were upgraded to Superior Beach View room which was great. We could BBQ in our terrace with a beautiful ocean view. It is facing to the beach that dolphins visit every morning and the resort has a nice restaurant. A resort by itself, 20mins drive from denham. It cost $10 per person to enter this resort. The room(budget room) can stay up to four persons, and a bathroom is shared between two rooms (8persons max) A good place for relaxation and take a stroll along the bench, might even be able to see dolphin while you are at it. Every morning at 7.45, there will be a free session to interact with wild dolphins, resort guides are there to facilitate the session. We stay three nights in double room with shared ensuite. 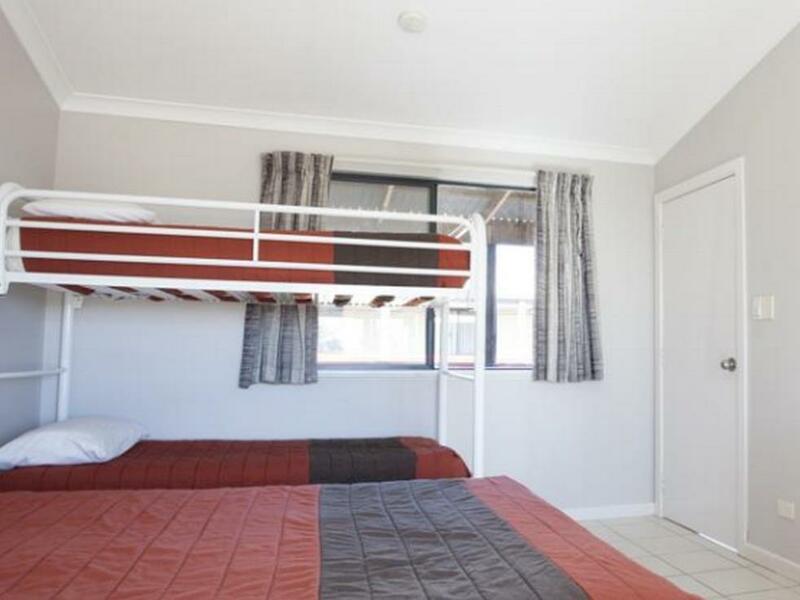 (Two double room share one ensuite) The kitchen/BBQ/parking are nearby. Most importantly the kitchen cleanese is very good. You also can find 4/6 people room. It's convient for backpackers. If you take your children for dolphin feeding, this hotel is the best choice due to the location. It's about 5-10mins for walk to the feeding area. We booked one night purely to see the dolphins. The resort was located perfectly. I booked a budget room and really had no options but to purchase food/drink everything from the resort as there were no coffee making facilities or even cups in our room. The prices in the general store were expensive so we went without. The dolphin experience was amazing and glad we came for that. We got an ensuite room and it seemed just renovated as the room still smells of paint. In the middle of the night, a croach crawled and it wasn't easy to sleep well that night. But the accommodation is a great place to see dolphin swimming to shore in the morning. 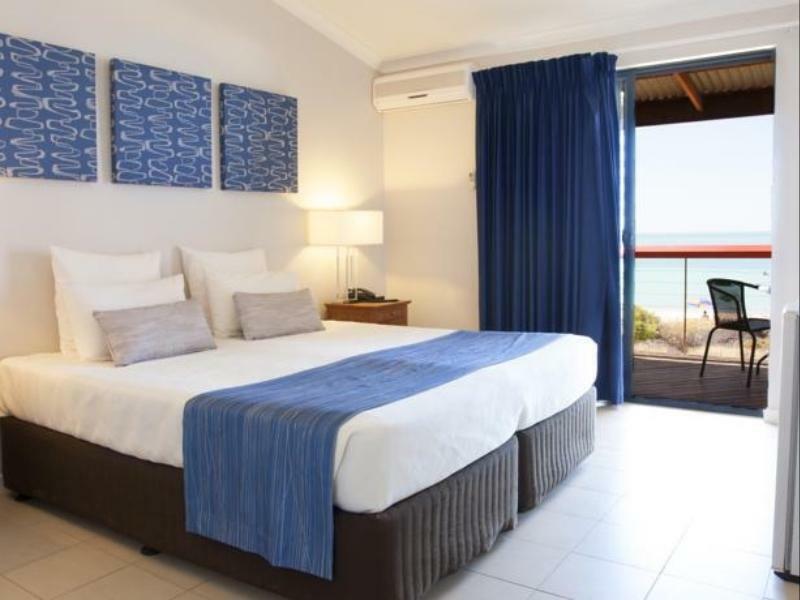 Just next to the seaside and walking distance to the dolphin area. We saw dolphins near the beach often. Our children like to play on the sandy beach. And the meals in the restaurent is delicious . It was great to go out on the boat, and watched the beautiful sunset. We want to come back again and changed to camping here because the facilities seems good! 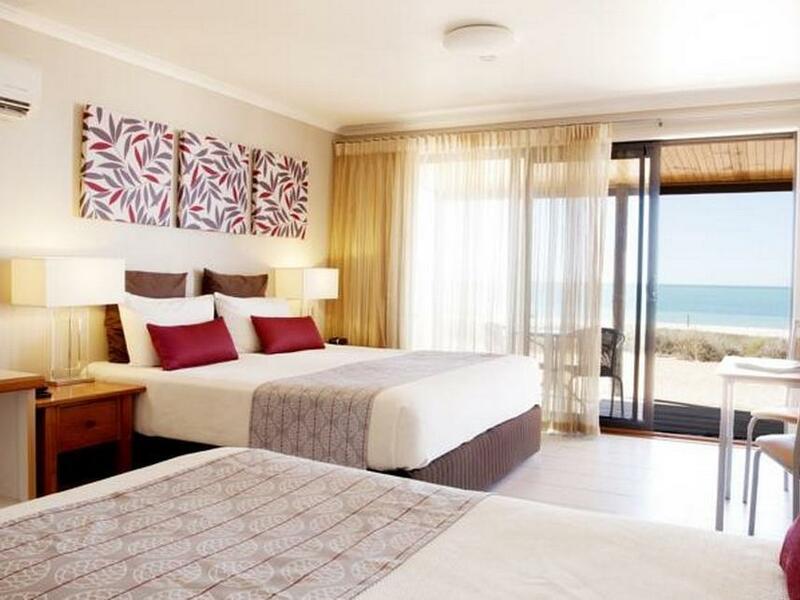 This is really a nice place and we booked a tour to Ocean Park, Hamelin Pool Marine Nature Reserve and Shell Beach. Although the weather was a bit unkind, the resort was not. I can not recommend this place highly enough for a bucket list type experience/stay, exemplary staff at all levels, delicious food, and just a top place to relax, unwind, experience nature. We stayed in a garden view room with partial ocean views, it was just spot on. The rate is expensive if you book very last min. However, it is very goood location if you wish to go for dolphins view, just a min walk from the beach. It has nice restaurants, but always packed with guests. The cruises were excellent with great crew. Many animals seen. The experience was not to be missed. I would certainly recommend the place to friends. The experience of reception staff was mixed. The WiFi connection was poor but this can be expected in a remote location. Good - Just a short walk from the stretch of beach where the dolphins come in to the shoreline. - Room was sufficiently big and there are 2 movies channels in addition to the normal channels. 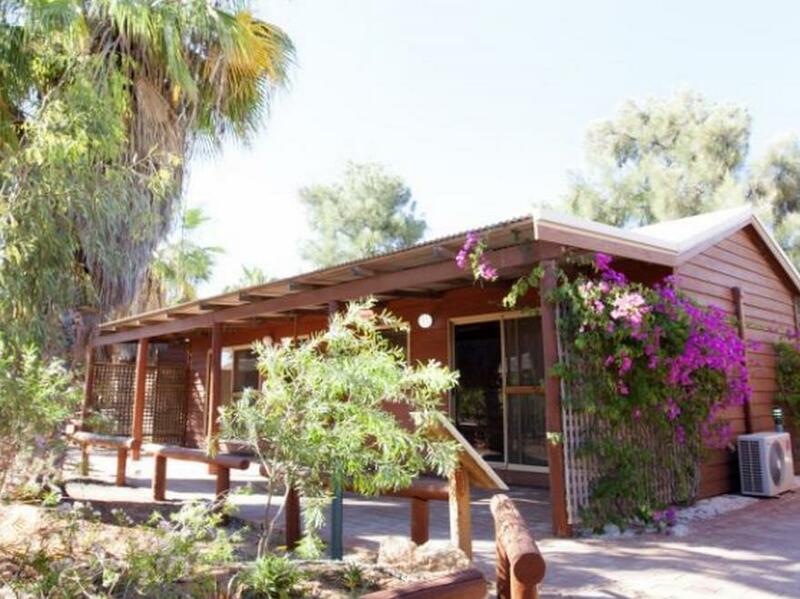 - In house restaurant Boughshed provided delicious food at reasonable price and generous serving. - Resort is self-sufficient with supermart and petrol/diesel kiosk. - Communal kitchens available - Wifi available but limited by capacity Bad - Communal kitchen is dirty. - Long wait for food at bar. Comfort and relax with many activities and fun Dinner at the bar with great meal and value for Money. The bathroom is shared with the next room which we are lucky that we are Only room occupied that night. The morning breakfast is great with nice and delicious breakfast We manage to experience the wild and nature dolphin feeding event at 8am and only 2 dolphin we manage to see. It was a wonderful experience to see the dolphins! However, the entire resort is so run down. Crowded Easter holidays and the Resort was without WIFI probably unable to support the usage required by all. Beach was dirty and the crowd were not all satisfied with the feeding of the dolphins leaving a screaming child who was not chosen at "random". When you travel from Perth to Monkey Mia it's really not worth the time and effort and cost to stay in such a rundown place just to watch dolphins. Dolphins feeding is right at your doorstep at 7.45am. However for cheaper options better to stay at Denham (with lots of food and supermarkets), however its about 30 minutes ride to Monkey Mia. This is my second time to this resort. The resort was recently renovated. The facilities were much better. The sunset was amazing. We were there peak period (school holidays) and predictably paid a high price. It seems well run. Room was good and food also. Unique location. Happy to have gone there. The service was incredible and there are so many awesome activities to keep you occupied if lounging in the sun isn't enough!